Croft Filters, has provided marine services company, Briggs Marine, with filters for its Woolwich ferries. Alfa Laval has won a SEK75 million order to supply equipment to a Russian processing plant to extract starch and gluten from wheat. Rob Watkins, marketing manager at UK filter manufacturer, Croft Filters, has been announced as a finalist in a top photography competition. The search has started to find cutting-edge wastewater treatment technologies that boost the recovery of energy, nutrients and water itself. Two new products have been launched on the market by LAKOS Separators and Filtration Solutions. A cartridge-based system that protects any non-aqueous gel permeation chromatography (GPC) column has been launched by Phenomenex. Freudenberg Filtration Technologies has acquired MeadWestvaco Corp's industrial activated carbon corrosion protection business. A new ultrafiltration cartridge has been launched by Koch Membrane Systems. Polymer Group has launched its Everist brand filtration media at the INDA Filtration2014 International Conference & Exposition in Baltimore, United States. Dow Water & Process Solutions has teamed up with IT giant IBM to develop a new app that will provide accurate water quality predictions for its customers. Europlasma is presenting its range of Nanofic innovative nanocoatings for the filtration industry at Filtration 2014. Total Nanofiber solutions company FibeRio launches Fiber Engine FX series systems with X10 increase in output. Volvo has developed a larger, more efficient multi-filter for the cabin of its Volvo XC90 SUV. Air Science has developed a ductless fume hood which has been designed to provide operator protection when using hazardous substances. 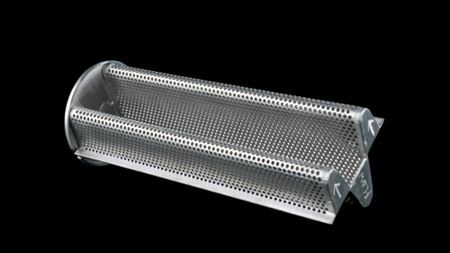 Microdyne Products Corp has developed a line of stainless steel housing sanitary industrial filters for compressed air/gas systems. Koch Membrane Systems has launched its PURON MBR ultrafiltration membrane bioreactor series. PUR Water Filtration has launched a new line of drinking water jugs featuring MAXION Filter Technology. Scientists at the University of Twente in the Netherlands have developed a new membrane which can be made more or less porous ‘on demand’. Vortox Air Technology says that a number of its products are available for a range of industries. KNF’s RC 900 rotary evaporator has won a prize at the Red Dot product design awards. 3M has developed a single-use platform that removes host cell DNA (HcDNA) and proteins (HCP) in various applications within the bioprocessing industry. Clean Marine has been selected by Hyundai Mipo Dockyard in South Korea to supply exhaust gas cleaning systems (EGCS) for two new MR tankers. CECO Environmental Corp has bought industrial cyclone technology specialist Emtrol LLC. Puradyn Filter Technologies has launched two new products in its bypass oil filtration product line. Peter Popoff, the president of Parker Hannifin Corp’s Filtration Group, will retire effective 1 February 2015, after a 36 year-career with the company.